Introduced in April 2018, the levy applies to all soft drinks with added sugar that are produced or imported into the UK. The standard rate of 18p per litre applies to drinks with a sugar content between five and eight grams of sugar per 100 millilitres. A higher rate of 24p per litre applies to drinks with more than eight grams of sugar per 100 millilitres. Fruit and vegetable juices are exempt from the levy provided they do not contain added sugar, as are milks and milk substitute drinks with a high calcium content. The UK’s sugar tax wasn’t intended to directly reduce consumption. 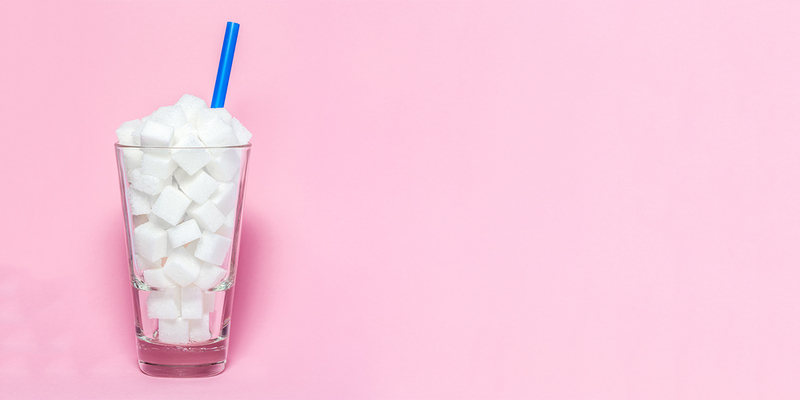 Instead, it is designed to work indirectly by encouraging drinks manufacturers to reformulate products and bring their sugar content below the taxable thresholds. On this measure the tax should be viewed as a success: manufacturers had two years to prepare ahead of the levy coming into effect and over 50% took action to cut sugar in their products. For example AG Barr, makers of IRN-BRU, said that it expected 99% of its product portfolio to fall below the taxable threshold. And Lucozade Suntory Ribena reformulated all its drinks to contain less than 5g sugar per 100ml, resulting in 50% cuts to the sugar content of its flagship products such as Ribena, Lucozade Energy and Orangina. What about measures of health and obesity? It’s too early to draw any conclusions about the impact of the sugar tax on patterns of obesity in the UK, but if the tax continues to have its intended effect then the benefits could be very significant. For example, one study looked at the effects of a gradual reduction in sugar content of sweetened beverages by 40% over five years. Based on population and diet survey data, this study predicted roughly half a million fewer obese adults as a result. How much money has the sugar tax raised? Funds raised from the sugar tax are earmarked for spending on school sports programmes and breakfast clubs, as part of wider efforts to combat childhood obesity. The initial forecast was that the tax would bring in £520 million in its first year of operation, but this was revised down to £275 million as a result of company efforts to remove sugar from their products. Data from the first full year of the tax is not yet available, but receipts from April to October 2018 totalled £154 million. While more money to support child health is of course welcome, it is important to remember that the more effective the sugar tax is (in terms of reducing sugar content in soft drinks), the lower tax receipts from it will be. Have other countries introduced similar measures? Over twenty countries have introduced various forms of sugar taxes, including ten in Europe. In general, taxes have proven to be more effective in incentivising product reformulation than they have in creating long-term shifts in consumer behaviour. For example, following the introduction of a tax on sugary drinks in Mexico during 2014, consumption of soft drinks fell for two years before returning to pre-tax levels in 2017. What other interventions might happen? Obesity is a complex issue with multiple dietary, lifestyle, genetic and environmental causes. No country has ever successfully reversed an increase in obesity rates and (despite sugar being an important factor) it is very unlikely that the imposition of sugar taxes alone will provide the answer. It’s therefore critical that sugar taxes are viewed as part of a broader programme of public and private sector action to tackle rising obesity rates. The menu of possible interventions is extensive and includes steps such as improved labelling requirements, restrictions on the marketing of unhealthy foods, incentives for companies to reformulate products, changes to planning regulations to promote more healthy environments, and shifting the narrative to think about effective obesity treatment alongside prevention. Why does this matter to investors? A failure to address the obesity epidemic will result in severe social and health impacts. This creates a clear moral imperative for action, but we are also aware of the financial risks and opportunities associated with nutrition and obesity. Shifting consumer preferences and the potential for further regulatory interventions mean that food and beverage companies will need to be able to adapt their product portfolios to healthier alternatives to avoid declining sales. At the same time, there are potential opportunities for producers of food ingredients that enhance nutritional value, companies providing fitness equipment and services, and healthcare companies that are developing novel treatments for obesity and its related health issues. Through our research and engagement activity, Rathbone Greenbank Investments not only seeks to identify companies that are helping to deliver solutions to the obesity crisis, but also to encourage improved performance on health and nutrition issues across the food industry.